Previous collaborative efforts from this duo have seen some very interesting, and often a little out-there, takes on Converse staples. 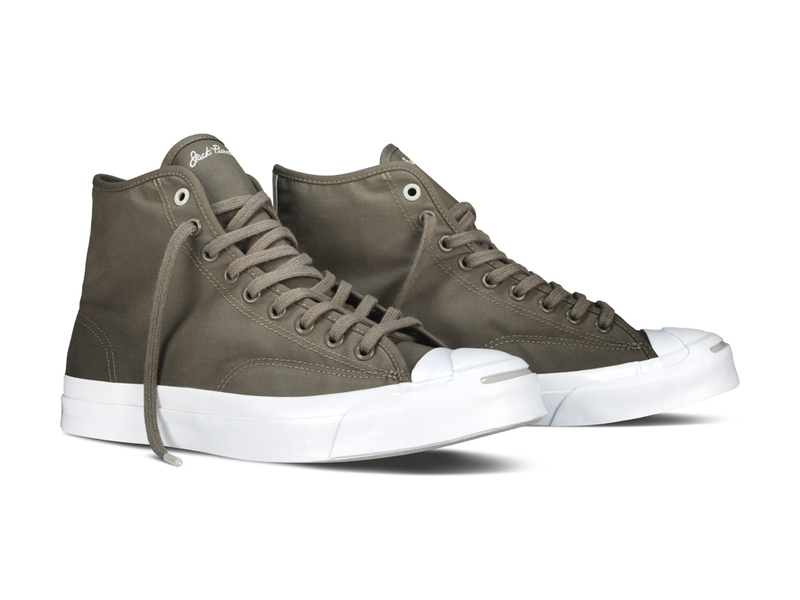 Here we see the duo break boundaries once again, creating a hi-top JP Sig, which is the first time I’ve seen a hi-top Jack Purcell of any kind. 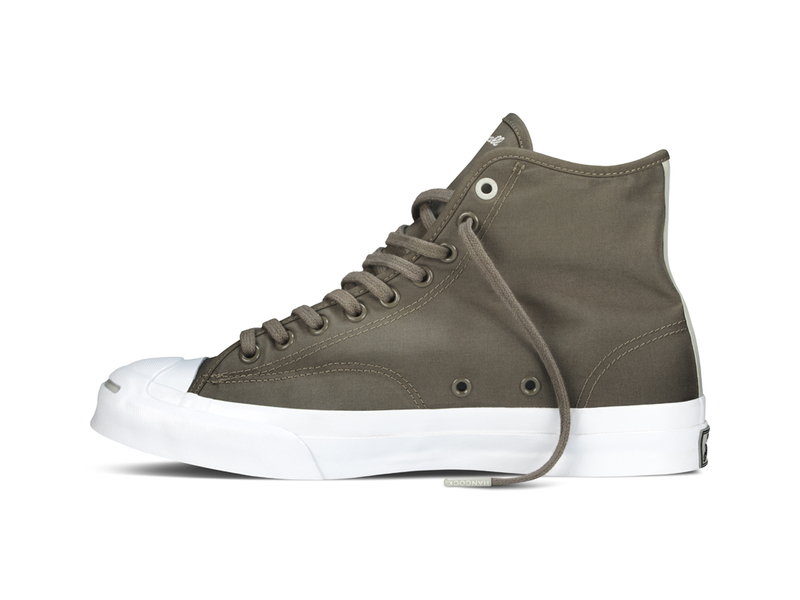 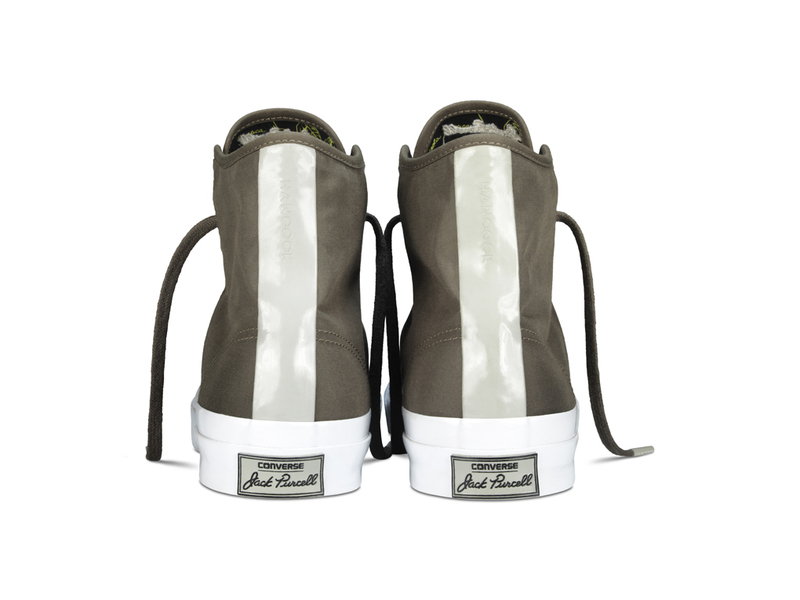 This water-repellent canvas hi-top looks more in keeping with the Chuck 70s, but a modernised rendition, and that’s no bad thing. 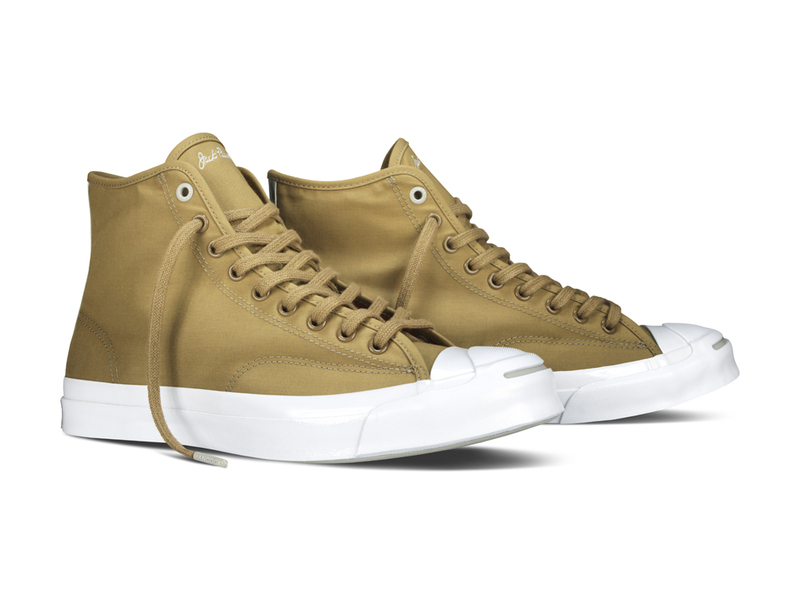 Colours are kept classic and minimal, just how we like them, allowing the materials and that striking vulcanised sole unit to do the talking. The black pair does feature a pattern – Hancock’s Siphonia Elastica pattern – which in my eyes is a shame, not to disrespect the pattern. 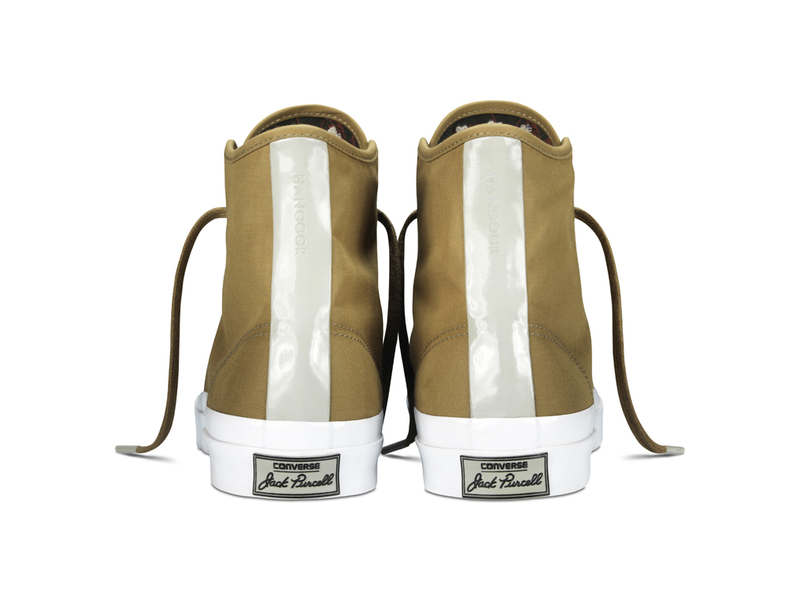 All three pairs feature a vulcanised rubber stripe on the heel in off-white. 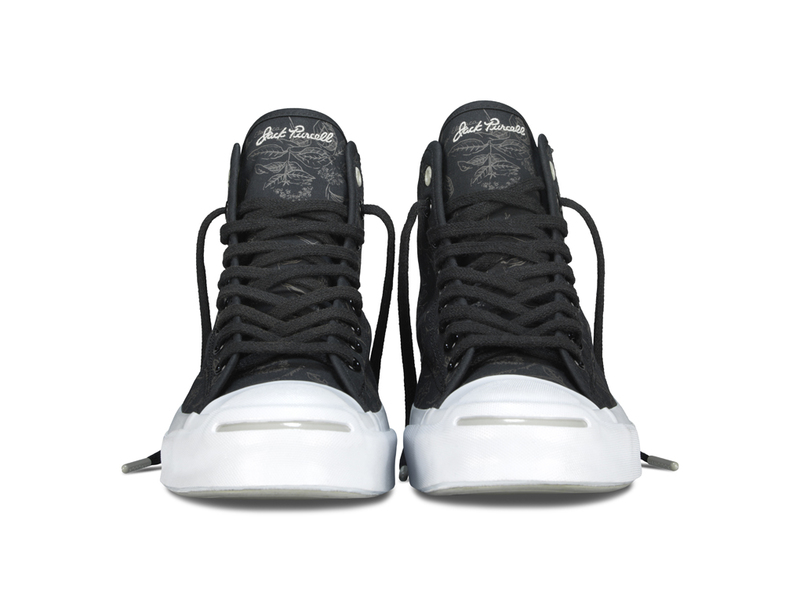 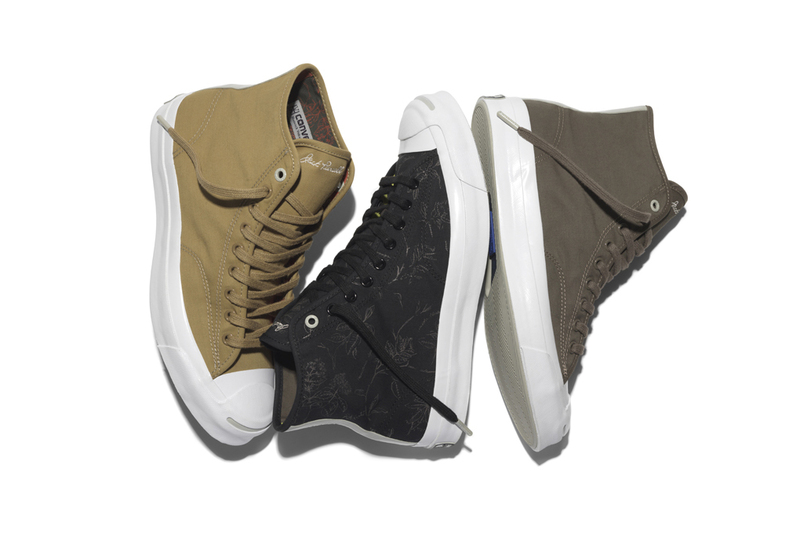 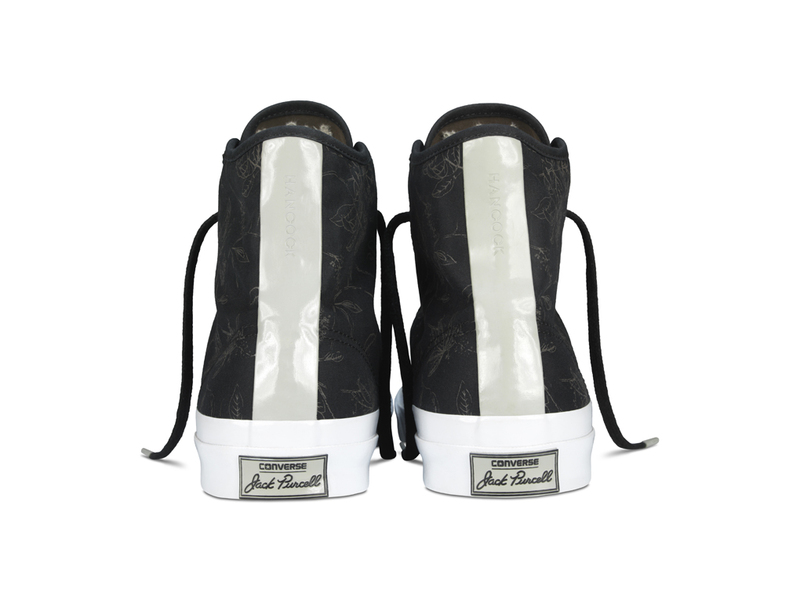 The Hancock x Converse Jack Purcell Signature Hi hit converse.com and Converse First String stockists on Friday, retailing at £120.